The Woodview Learning Centre, a not-for-profit private school for children and youth with ASD, does not receive funding through the Ministry of Education. 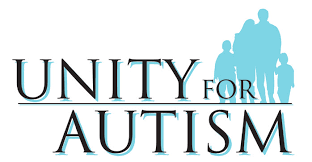 We are grateful to Unity for Autism who through their loyal and generous funding grant allows us to continue to keep up with our expanding program needs in supporting children and youth with ASD. The Unity for Autism grant provides technology, programming materials, school supplies, extra-curricular activities, community outings - and even new classroom furniture - for the Woodview Learning Centre students. Our Learning Centre families are grateful that they have a fun, positive, and safe school environment to send their children to that continues to challenge each student. The Unity for Autism grant alleviates some of the financial stress from each and every family. Thank you Unity for Autism! A very special thanks to Gord Roche and Don Gordon for their outstanding support and dedication to Woodview! 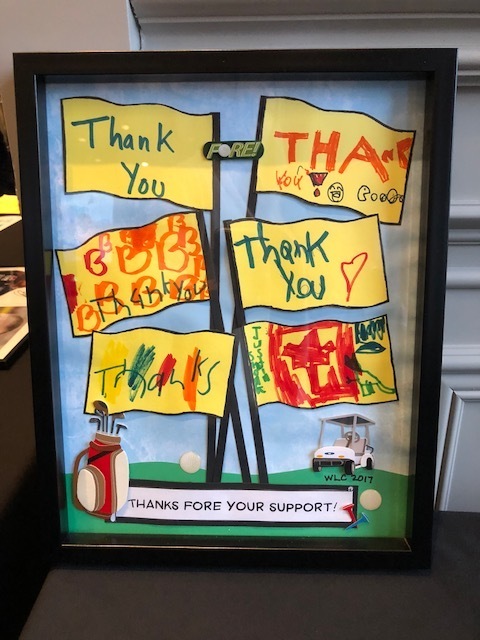 Proceeds from their successful fundraising efforts have supported the Sponsorship Fund for the Woodview Learning Centre, an alternative school placement for children and youth with Autism Spectrum Disorder. In gratitude and recognition, and to honour the memory of Jeff Roche and Hannah Gordon Roche and the tournament's legacy, Woodview is pleased to rename the fund the Jeff Roche and Hannah Gordon Roche Memorial Sponsorship Fund. It is our way of honouring the memory of Jeff Roche and Hannah Gordon Roche and the tournament's legacy of helping students with autism to attend Woodview Learning Centre who otherwise might not have had the opportunity. On July 5, 2018, Cindy I’Anson, Woodview’s Executive Director, was presented with a $14,000 donation cheque by Gord Roche. 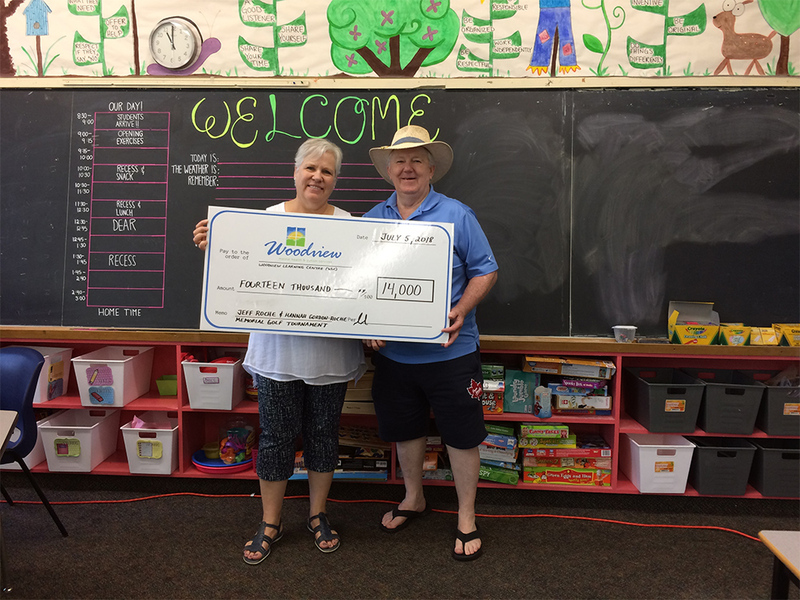 Funds for the Learning Centre were raised at the ninth (and final) memorial golf tournament in June. Thank you Gord!